The Scottish Vocational Qualification (SVQ) in Hospitality Services at SCQF level 4 allows candidates to demonstrate competence in job-related skills in their area of work and expertise. This qualification covers areas such as workplace health and safety; standards of behaviour in hospitality; and team working. This qualification has a wide range of optional units, and is ideal for anyone who has a varied role in the hospitality industry — for example staff working in small hotels, restaurants or cafès whose role covers housekeeping, reception, food preparation and food/drink service. 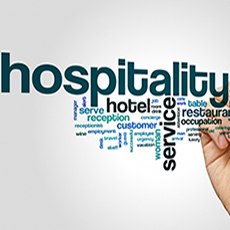 The SVQ in Hospitality Services at SCQF level 4 consists of three mandatory units and four optional units. These qualifications are now lapsing and will finish on 31.08.2019.